Today, Alexa can order toilet paper. Tomorrow, it may save your life. With ever expanding costs of healthcare around the world, and a rapidly aging global population, the challenge of how to make the future services affordable and intuitive for contemporary patients is huge. As with many of humanity’s great problems, we may turn to technology to solve it. 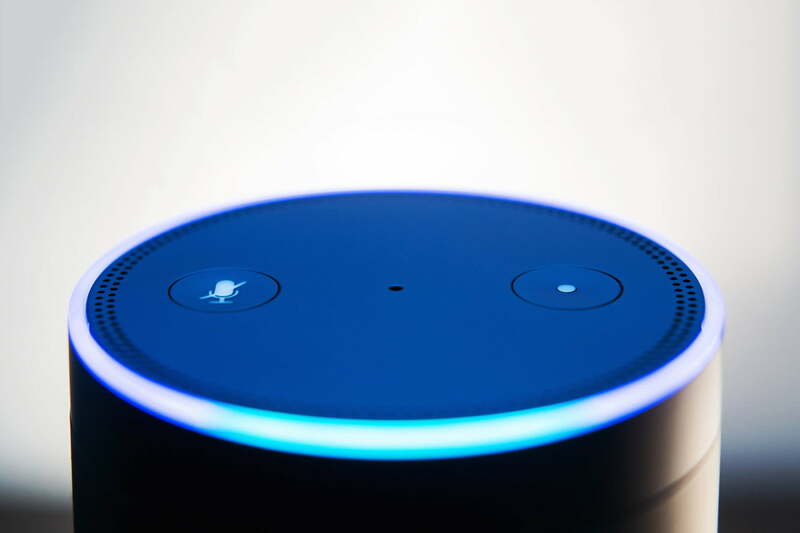 Digital developer Y Media Labs believes it’s struck upon the solution with Amazon’s Alexa vocal assistant. While hardware like Amazon’s Echo and Echo Dot have made it possible for users to play music, find out information, and operate smart gadgets by voice alone, Y Media Labs sees greater potential. It’s been working on Alexa-powered prototypes that could revolutionize the way healthcare works for us, making it more self-sufficient and accessible. Any company can make speculative claims about what the ‘future’ will be. Today, some suggest virtual and augmented reality are about to change the world, while others say it’s going to take a few years. When Y Media Labs thinks it’s cottoned on to a potential game changer, though, it’s worth listening. It rode the wave of mainstream popularity that came with advances in mobile hardware and software, and that’s put it in the right position to leapfrog to the next great innovation in mainstream technological interaction. Over the years Y Media Labs has worked with the likes of Facebook, Staples, Paypal, and Home Depot, helping them leverage new technologies to expand their sales practices and functionality for consumers. In each case Y Media was ahead of the curve, which is why even some of the most prolific technology companies hired on its services to help push the envelope of their digital offerings. Toshniwal believes Y Media is again on the cusp of a new generation of mainstream technological acceptance — with Alexa, and other vocal assistants. It’s this intuitive, naturalistic interaction that has Toshniwal so excited. If his four-year-old son can use the Echo Dot’s potential at such a tender age, there’s no reason that everyone else can’t. The fact the old and the young can so easily use Alexa is what has Toshniwal so excited about its potential to improve health care. He believes its adoption, once started, will be swift and complete. Y Media Labs’ first attempt to use Alexa in a healthcare setting involved patient follow-up after surgery. Poor aftercare is the most common reason people end up back in hospital, Toshniwal said. Patients often become confused about how and when to take medication, or don’t know how to respond to changes in their symptoms. Toshniwal believes Alexa devices like the Echo could help in these cases, and Y Media Labs has developed a prototype to prove it. Toshniwal also thinks Alexa could help with insurance. Many young patients don’t understand how their insurance works, what’s covered, and what tax deductibles they might have because of it. Trends. To fix that, Y Media Labs is developing a conceptual system that would allow users to ask about key information directly through their Alexa assistant. “That’s another area where Alexa can help today, where millennials can talk to Alexa, ‘how much is my flexible spending account (FSA) remaining?’ What is my co pay? What is the doctor nearby? All that stuff,” he said. The healthcare industry is already listening to what Toshniwal has to say. Though these ideas are still prototypes, hospitals and healthcare companies are already showing interest, and want to help advance healthcare into a new age with vocal assistants. That cooperation with major hospitals is a key part of making Alexa the versatile tool Toshniwal believes it can be. To bring Alexa to patients all over the country and the world, it will need to be able to interface with existing hospital systems and APIs, and considering major organizations – specifically in healthcare — are some of the slowest to update, that’s going to take some work. Privacy is one concern holding back the potential of digital assistants in healthcare. Alexa is effectively an open microphone in a patient’s home. We asked Toshniwal how this problem of trust may be compounded in a setting where deeply personal healthcare information is being discussed with Alexa services, and transferred through Amazon servers. While he acknowledged that some security measures need to be put in place, he said existing data protection practices in hospitals and healthcare facilities should be enough. That’s an optimistic outlook on what is a rather contentious topic. Breaches in healthcare institutions are far from an irregular occurrence, especially if you look at the problem as an international one. Any introduction of new, heavily connected technology will need to be carefully considered to make sure that patient data is protected. Making sure that it’s not funneled through the same channels as consumer-focused Alexa data would be a must. Although Toshniwal wouldn’t be drawn on specifics about whether Y Media Labs could be involved in developing such protections, it is clearly beavering away behind the scenes on many advances in Alexa technology, and leveraging them in a healthcare environment. Hurdles do remain before Alexa can become mainstream, but Toshniwal is convinced it’s just a matter of time. Indeed, it could come sooner than expected, as he promised a major announcement on that front towards the end of the year. Alexa, watch this space for us. Updated 12/04/2017 by Jon Martindale – minor spelling correction.